Teaching at the London Rare Books School this week and next. Good to see some colleagues again – Professor Nicholas Pickwoad – who better in the whole, wide, world to learn from about European bookbinding? And the same is true for the other courses – Professor Michelle Brown on the Medieval Book, Professor Anthony Edwards introducing bibliography, Jill Shefrin (with Brian Alderson) on children’s books – matchless authorities everywhere you look. Likewise my colleagues on the History of Maps and Mapping course – Dr Catherine Delano-Smith, editor of Imago Mundi; Sarah Tyacke CB, former head of our National Archives, and Peter Barber OBE – distinguished head of the BL Map Library. Obviously, in such exalted company, I can only be there to provide some light relief – we booksellers know our place in the Ex-Libris pecking order. 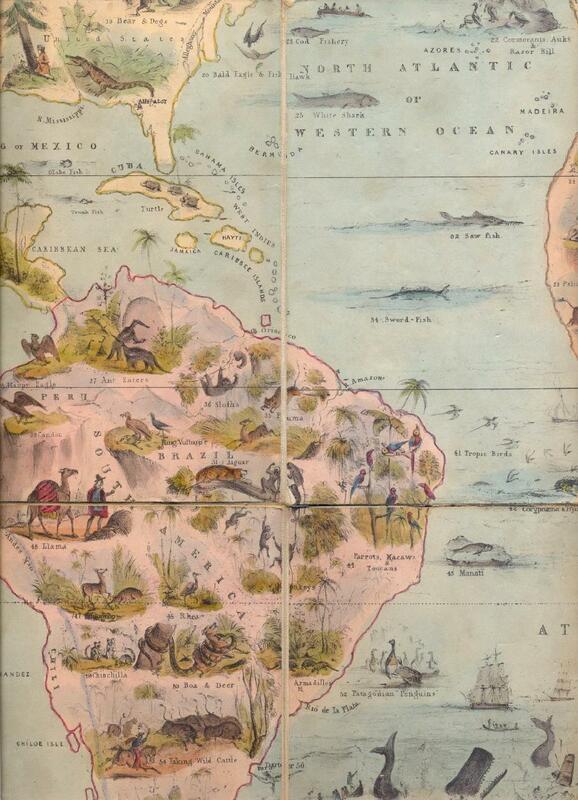 I took along a few obscure nineteenth-century map games to try to inject some fun into the proceedings. 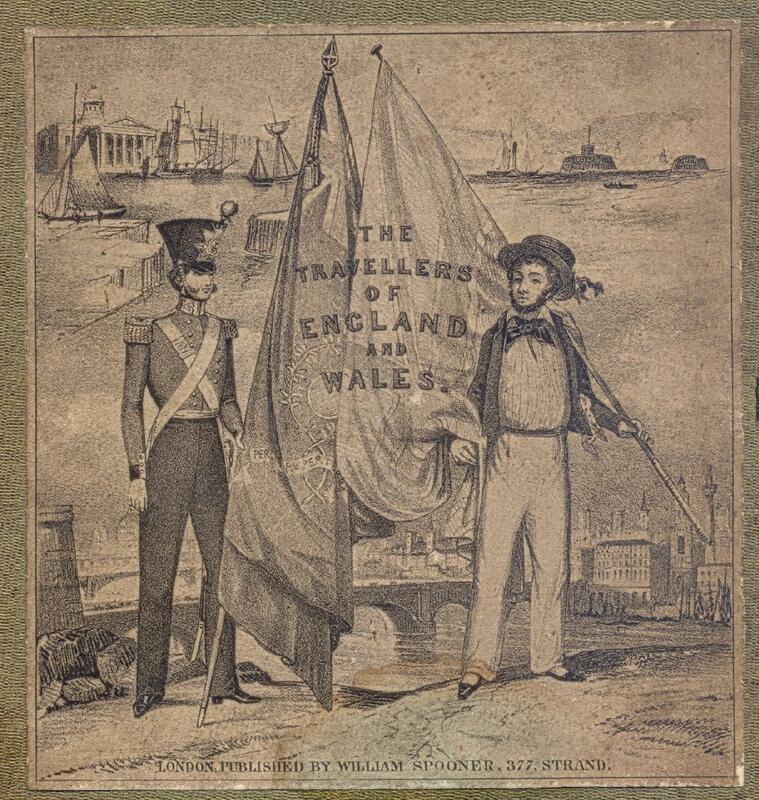 Two of them published by William Spooner of the Strand – Spooner’s Pictorial Map of England & Wales : Arranged as an Amusing and Instructive Game for Youth [cover title The Travellers of England and Wales] and his Zoological Map of the World, Shewing the Geographical Distribution of Animals (both 1844). The sort of thing Spooner was wont to advertise around Christmas time as “entirely new games for the holidays” – and just the thing to appeal to well-to-do parents as both an entertaining and educative present. Learn your geography in a colourful, offbeat and painless way through the means of a race game round the country or round the world. I’ve put up a couple of details (click to enlarge) to give you the flavour – I particularly like the nice distinction between sword-fish and saw-fish in mid Atlantic. I imagine Victorian children saw right through the covert educational purpose of these games just as easily as mine did when I tried it on them when they were younger – but no doubt their parents were happy enough to try. I say ‘well-to-do’ because these things were not cheap. Spooner’s standard price was seven shillings and sixpence – which would be 37-1/2 pence now – but obviously worth a great deal more then. Measuring historic worth is always difficult and largely depends on which measure you choose to use – Spooner’s price would equate to around £30 now simply in terms of price inflation – but using measures of economic status or flow of income, that might equate to more like £400 now in real terms. Spooner produced a good number of these games – individually all scarce, but collectively reasonably well-represented in collections. You can see a number of examples on the V&A website. Primarily Spooner was a printseller, producing large numbers of saucy but wholesome caricatures, satires, portraits of society beauties, and so on – plenty of examples in the British Museum. But he is probably best-known for his “protean” views – wonderful transformation scenes which when held up to the light completely change in character – the Royal Exchange burns down – the new Houses of Parliament rise from the ashes of the old – a Swiss village disappears under an avalanche, etc. Plenty of examples of these to be found on the internet – in collections and on sale (Grosvenor Prints and Marlborough Rare Books are good places to start). The Guildhall Library Print Room Collection has now disappeared into the maw of the London Metropolitan Archives – but plenty of examples on their Collage website. But what I suspect you won’t find – either on these websites or anywhere else on the internet – is a decent account of who William Spooner actually was. Say ‘William Spooner’ to most people and the name will probably just conjure up the albino Warden of New College, Oxford – William Archibald Spooner (1844-1930) – the man famed for his tips of the slung and who gave the word spoonerism to the language. Most of the well-known examples must surely have been made up by his students – “you have tasted two entire worms, hissed all my mystery lectures, and were caught fighting a liar in the quad – you shall leave Oxford by the afternoon town drain” (and all the variants) – but he was genuinely a man who once spilled some salt on the tablecloth and poured his claret on it to mop it up. This William Spooner is in the Oxford Dictionary of National Biography of course, as is William Charles Spooner (1809?-1885), the veterinary surgeon who wrote A Treatise on the Influenza of Horses (1837) – although I suspect that neither of them was anything like as famous in their day as William Spooner of Turnham Green , “the champion walker of the world” – whose feats of speed and endurance in those pedestrian foot-race challenge matches so popular in Victorian England dominated the newspapers of the 1850s – who oddly is not. And nor, just as oddly, is our William Spooner, the printseller (although he is, of course, in British Map Engravers). Let me introduce him as William Matthias Spooner (1796-1882), born in the East End and baptised at St. Mary Whitechapel on 27th April 1796 – the son of Edward Spooner and his wife Sarah Meacham, who had married in 1793. He was apprenticed in the Stationers’ Company in 1811, presumably spent a good few years working for others, and eventually opened his own business at 259 Regent Street in or about 1831. He married Hannah Whitehorn on 11th October 1832 at St. Pancras Old Church. In terms of dating his prints, he was in Regent Street until 1836, at 377 Strand from 1837 to 1846, and at 379 Strand until his death in 1882 – the last address perhaps representing an alteration in street-numbering rather than an actual move. He originally lived over the shop, but by 1851 had a suburban villa in Hammersmith (1 Rusina Villas, Goldhawk Road). 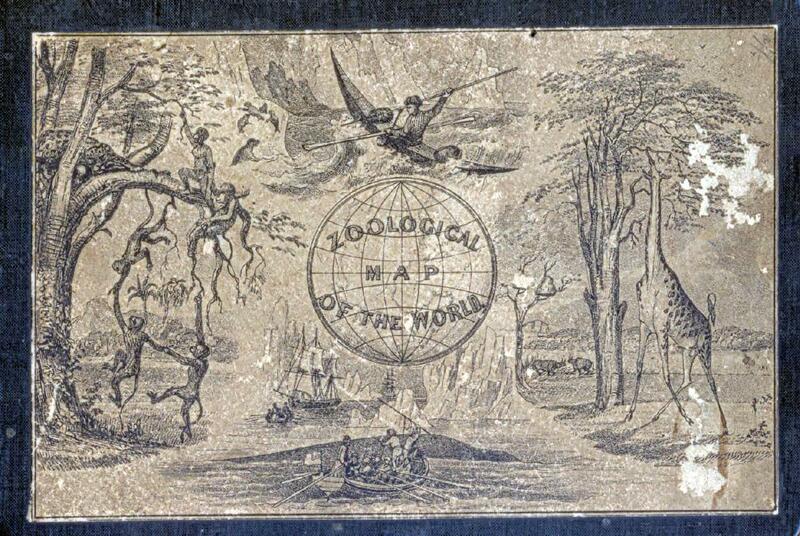 In 1853 he began publishing Kidd’s Journal of Nature and Variety, edited by a Hammersmith neighbour. His advertisements promised that “the editor and his allies (choice spirits all) have but one object in view, viz., to render life enjoyable; society universally amiable ; mankind wiser, kinder, better ; and the domestic hearth happy” – which I think tells us all we need to know about his qualities as a man. 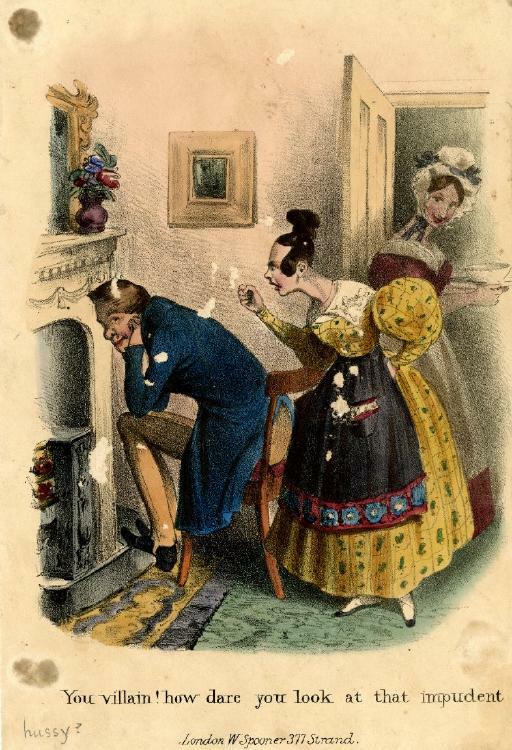 The happiness of his own domestic hearth must have been shattered when his wife died in May 1854 at the age of just forty-three, “after a long and painful illness”. He kept on the house at Hammersmith for a time, but eventually returned to living over the shop, alone and childless. The supply of inventive new games and prints dried up – he appears to have published very little fresh material from that point on. He died on 22nd February 1882, aged eighty-five, leaving an estate eventually valued at £6,944.8s.2d – and thus ended the career of one of the most engaging and distinctive printsellers and publishers of the nineteenth century. 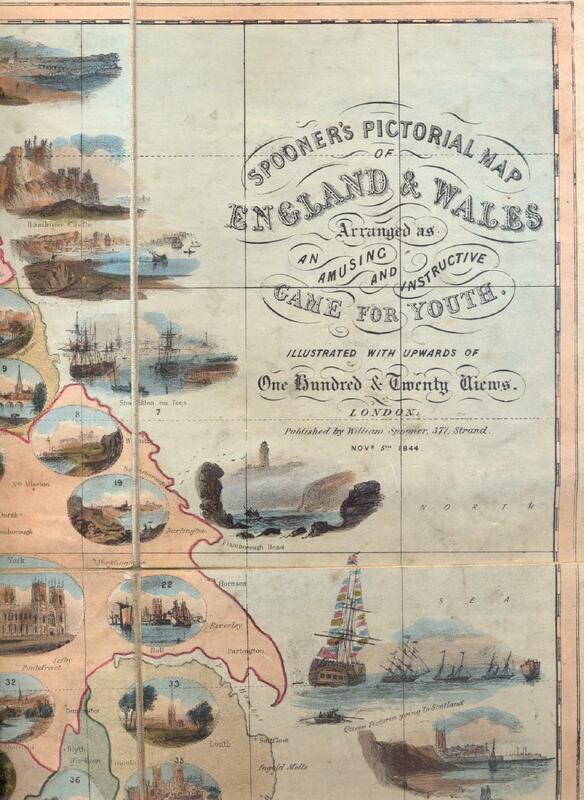 This entry was posted in Engravers, Printsellers and tagged London Rare Books School, Map Puzzles and Games, Protean Views, William Spooner. Bookmark the permalink. When did William Spooner’s business cease to trade. I have just bought a dante and beatrice print by Henry Holiday contained in frame labelled WIlliam Spooner. Henry Holiday completed this painting between 1882-4 and I note from this article WM died in 1882. Can anybody help?